Is your RV sitting around because of lifestyle change? Is your RV in storage, getting dusty and losing value? prospective buyers taking up your time with unrealistic offers. Prospective buyer wants you to show it, explain it, detail it, reduce the price on it, warranty it, deliver it or drive it and this takes time that you need for other important things. 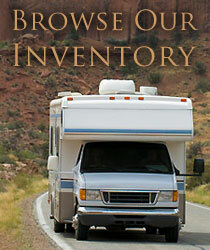 Let us help you sell your Travel Trailer, Toy Hauler, Motorhome or 5th Wheel and get the most for it. We have a very clean and professional lot and can deal with the buyers and answer all the questions while you relax and let us do the work. RV consignment is not a sideline at RV Connection. 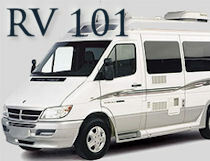 The right asking price for your RV is critical for you to get the top dollar for your vehicle and to sell it quickly. The longer it sits the less it is worth. To evaluate the asking price of your RV we use prices of past sold units, 3rd party valuation guides and our experience to make sure your vehicle is priced correctly. We can do an evaluation to verify retail and bank values, certify the condition of your RV, advertise it for you. 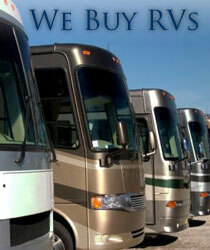 If you need to sell your RV immediately we will be happy to make you a cash offer. Chances are, RV Connection already has a buyer for your vehicle and we know how to get them interested in buying yours. Buyers actively receive information on your unit through our web site or visiting our facility. Many times a quick sale is made! We are able to take trade-ins on your RV and it will not affect your net dollar amount. There are no hidden costs to you if your RV doesn't sell. We want to make sure you get the most for your RV as quickly as possible and also giving the buyer the most information to understand what they are buying. We are located in Auburn, California and serve most of Northern California. We have been in the RV business locally since 1969, and we do it right. Contact us for more information (916) 765-1022 or (530) 306-2812. Thank you!